Discover why credit union across America use Avtec CMS to manage their website content. 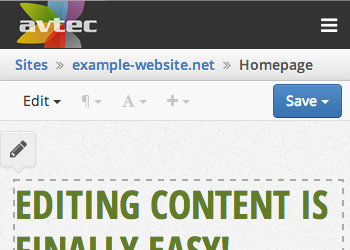 Whatever you want to create, design or communicate, Avtec CMS we’ll help you make it happen. A simple and intuitive interface that that makes content creation easy and enjoyable. 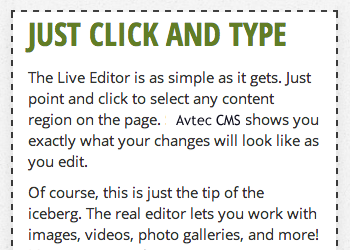 Simple on the surface, but advanced under the hood, Avtec CMS is a powerful hosted CMS. Discover why credit unions across the United States use Avtec CMS to manage their website content. 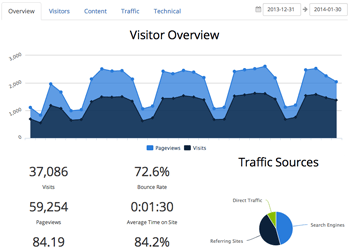 Manage your site in record time! Request a no-obligation demo today. 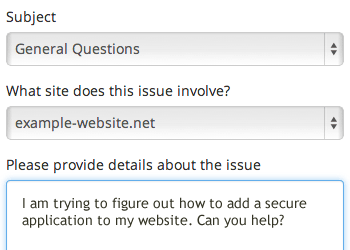 You host the website, we host the CMS. Avtec CMS can connect to any website anywhere using a Secure FTP connection. Edit from the comfort of your desktop or make changes on the go with your tablet or smartphone. Works great with all mobile browsers. 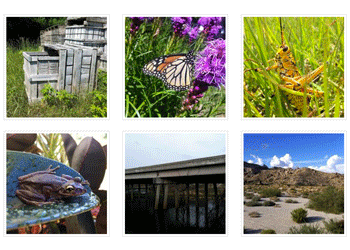 Add, remove, and reorder photos; automatically generate thumbnails. Perfect for image galleries and sliders. 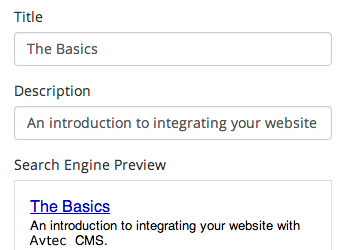 Link your CMS account to Google Analytics to gain important information about your website visitors. 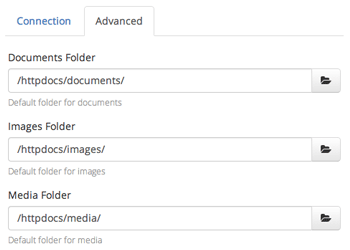 Upload multiple files at once. 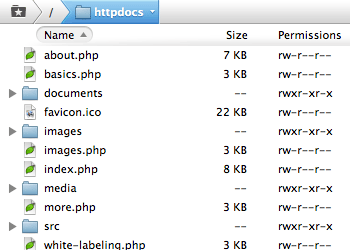 Delete, rename, and create folders. See a preview of any selected images. Save your content and finish working on it later. You can also view every revision you publish for up to six months. 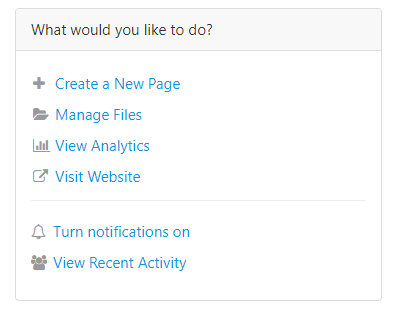 View activity by user or by page. 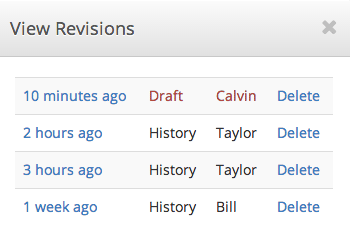 Each revision can be opened for editing in case you want to undo changes. 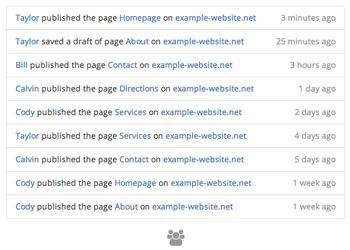 Get instant notifications when anyone makes a change to your website. Turn notifications on or off. Give your editors access to edit their content. 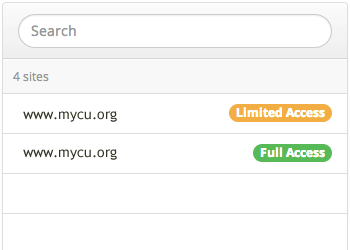 Assign permissions and privileges to limit access. 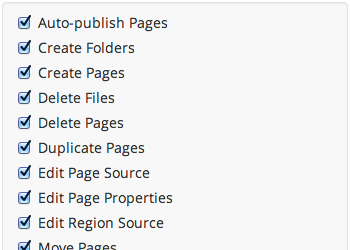 Specify which pages your editors have access to. Choose as many or as few as you’d like for each editor. Choose the features your users have access to. 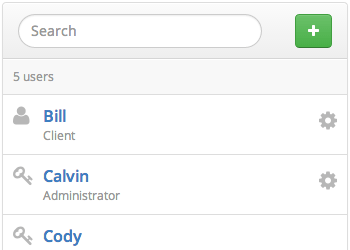 Each editor can have varying privileges depending on access level. 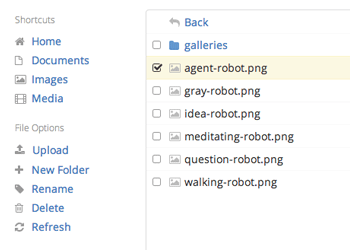 Upload, resize, and crop images without even thinking about it. Easily style images with our helpful utilities. Add mobile-friendly videos. Insert videos from YouTube and Vimeo just by pasting in the URL. 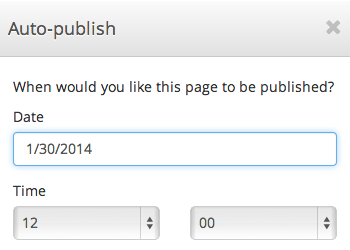 Schedule changes to publish at a specific time in the future. Just set it and forget it. Boost your SEO. Update page titles, and descriptions for each page. 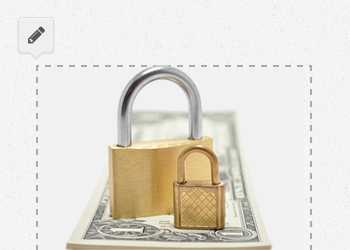 Get a glimpse of how your pages will appear in Google and other search engines. Keep everything organized by assigning shortcuts to documents, images, and media. They’ll be just a click away in the File Manager. 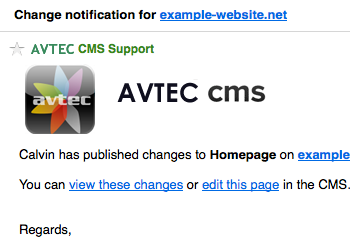 You can always count on Avtec to provide rapid customer support within 2 business days. Access a full library of self-help tutorials and lessons.